BARCELONA, Spain – Only two months after introducing the HARMAN Service Delivery Platform, HARMAN International Industries, Incorporated (NYSE:HAR), the premier connected technologies company for automotive, consumer and enterprise markets, announced today further advances towards leading the connected car ecosystem by making it easier for automakers to introduce and launch a variety of enterprise- and vehicle-centric services from leading providers. 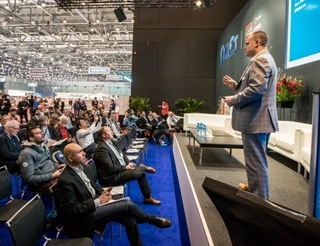 Today at the MWC 2016, the company announced 10 new workflow, content and data service providers for the company's Open Service Delivery Platform for the connected car. These service providers can provide automakers and drivers with a wide range of accurate, context-based and relevant services including real-time traffic and location based services, shopping, parking, streaming audio and live news. Service providers include TomTom, Parkopedia, AccuWeather, Yelp, INRIX, CustomWeather, Deezer, AccuRadio, Wcities, and NPR. The new services will be available to automakers for their connected car configurations. "Automakers now have the ability to provide drivers and passengers with the unique and relevant services that will improve the in-car experiences while continuing to focus on improving driver safety, convenience and infotainment." said Sanjay Dhawan, President, HARMAN Connected Services. "We're working closely with the top partners in the industry to bring together these services to automakers and drive innovation for drivers and passengers." The Service Provider Program is a worldwide initiative available to workflow, content, data and service providers who are looking to bring their services to automakers, vehicles, drivers and passengers faster, while focusing on near-term opportunities in the automotive industry. 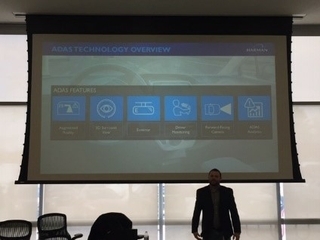 By leveraging the industry's leading enterprise cloud services platform, automakers can deploy a variety of services including infotainment and navigation, new software features after vehicle sale, vehicle data to predict part failures, forecasting for preventative maintenance, and analysis of warranty claims. The HARMAN Service Delivery Platform is a powerful, comprehensive foundation with a collection of core services, third party services and management features, fully integrated with vehicle systems and updated seamlessly over the air. TomTom: a leading provider of traffic and travel related services for the automotive industry. Via HARMAN Service Delivery Platform, automakers are able to provide drivers with a number of TomTom services including incremental map updates, real-time traffic information and online routing and searching functions, all delivered to the vehicle head unit. Being able to access these services directly from the car's dashboard will enhance the driver's experience through better routing, fresher maps, and the most accurate ETA (estimated time of arrival) available today. Parkopedia is the world's leading parking service provider used by millions of drivers and many of the world's most recognized car brands. The service allows drivers to find the closest parking to their destination, tells them how much it will cost and whether the space is available. Parkopedia also allows drivers to pre-book and pay for parking online, through a mobile app and in-car. Parkopedia provides detailed information on 38 million parking spaces in over 150,000 facilities across 6000 cities in 75 countries; including real-time parking space availability information in over 500 cities in 30 countries. AccuWeather provides hourly and Minute by Minute™ forecasts with Superior Accuracy™ for any longitude/latitude on Earth, with customized content and engaging video presentations available on smart phones, tablets, free wired and mobile Internet sites, connected TVs, and Internet appliances, as well as via radio, television, and newspapers. AccuWeather also delivers a wide range of highly customized enterprise solutions to media, business, government, and institutions, as well as news, weather content, and video for more than 180,000 third-party websites. Every day over a billion people worldwide rely on AccuWeather to help them plan their lives, protect their businesses, and get more from their day. Yelp connects people with great local businesses. Yelp was founded in San Francisco in July 2004. Since then, Yelp communities have taken hold in major metros across more than 32 countries. Millions of people use Yelp every single day to find the hottest new restaurants, great boutiques, and the occasional car mechanic. INRIX is a leader in dynamic connected car services worldwide and provides HARMAN with real-time and predictive traffic flow information for routes, travel times, and alerts to accidents and incidents. INRIX combines traffic information from its crowd-sourced network of connected vehicles and insight from thousands of public and private sources to provide automakers with a real-time traffic service that covers more than five million miles of roads in 45 countries. INRIX is the preferred provider of driving intelligence to leading automakers in the industry. CustomWeather provides drivers and passengers with current conditions and weather forecasts for their exact location anywhere around the world. Global location-specific hour-by-hour weather forecasts, extended forecasts, severe weather alerts, and advisories allow for safer travel and trip planning. The company generates granular weather forecasts for over 200 countries, providing sophisticated weather services to leading companies in a variety of industries. Deezer is at the forefront of an on-demand audio revolution, allowing fans instant access to the largest music streaming catalogue in the world, with more than 40 million songs and 40,000 podcasts on any device. Combining the best of man and machine, Deezer's global editorial team searches for the best music around the world and its algorithmic recommendations help fans discover music they will truly love. AccuRadio is a personalizable Internet radio service designed to appeal to the 35-to-64 age group, featuring over 975 channels of rock, pop, R&B, country, classical, R&B, Broadway, world music, and more, spanning over 50 genres. AccuRadio currently has nearly 3 million registered users around the world, and, according to Triton Digital's Webcast Metrics ratings service, is currently America's fastest-growing webcaster. Wcities offers the best travel and entertainment content for cities around the world. The services eventseeker™ and cityseeker™ provide things to do and current events for concerts, theater, sports, attractions, shopping and more. Its context personalization engine tailors information to the individual user. This curated content is streamlined for the car environment providing a fun and safe experience. Wcities currently offers its services to over 8 million cars and tens of million users around the world. Founded in 1998, Wcities services can also be found in the leading hospitality brands, in-flight entertainment, and travel providers globally. For more details about the Service Provider Program and HARMAN Service Delivery Platform visit http://services.harman.com/sdp.